Pastor Hartman has been in active full-time pastoral ministry since 1988 as a Children's Pastor, a Senior Associate Pastor and a Senior Pastor. 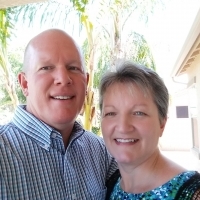 He has served as Pastor at Baseline Christian Fellowship since November 2000. His heart for the lost and passion for preaching God's Word are evident in his enthusiasm for God's life-changing power. He graduated from Trinity Bible College, Ellendale, ND, in May of 1988 with a Bachelor of Arts degree in Bible and Ministerial and an Associate of Arts degree in Business Management. He and his wife, Jill, have been married for 33 years. In his spare time, he enjoys riding his ATV and motorcycle, reading, and landscaping.